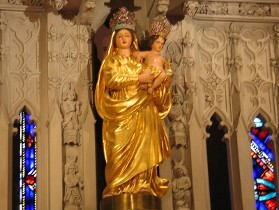 For information on the Our Lady of Prompt Succor, click on image above. 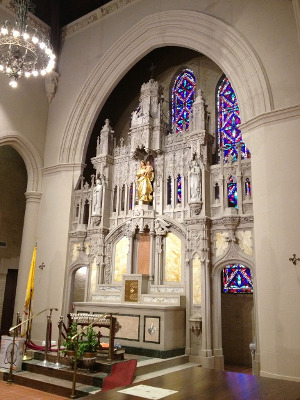 The four crowns above are on display for the celebration on January 8th. The two crowns on the right are the crowns used once a year and the two crowns on the left are the two crowns used on a daily basis. 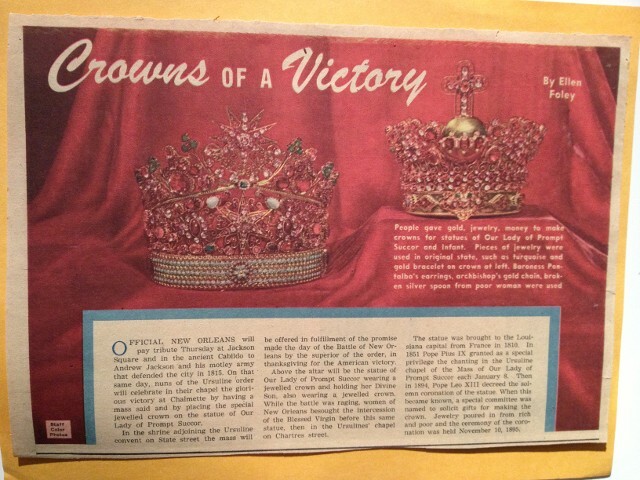 The large crown is for the Blessed Mother and the small crown is for the Baby Jesus.